Don't let the four doors fool you. The Fisker Karma can go 0-60 MPH in 5.8 seconds. At high noon on San Jose’s Santana Row, the sheet comes off the Karma sports car: an $87,900 ride for the eco-chic. 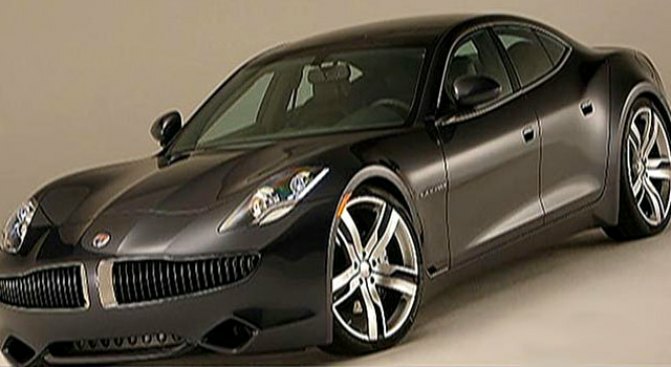 Fisker Automotive’s Karma is a plug-in hybrid speed demon that can go 0 to 60 in 5.8 seconds with a top speed of 125 mph. The Irvine, Calif. car maker claims its green-mean-machine gets 100 miles per gallon -- the Karma goes 50 miles on a full charge of its batteries and after that it reverts to operating like a normal hybrid car. Separating it self from clunkier Earth0friendly designs, Fisker's sleek four-door sedan resembles a BMW, or Scarlett Johansson, with a curvaceous frame wrapped around a tight body. It's no wonder -- the new car's designer first worked on the BMW-Z8 before tackling the Karma. Fisker Automotive plans to start selling the car early next year, but the City of San Jose is helping unveil the car to Silicon Valley today to push it’s Green Vision plan. Green Vision aims to get more clean burning cars, like the Karma, on the streets of San Jose.